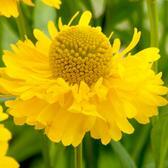 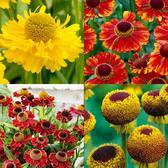 Helenium plants take their name from the Greek work 'Helios', which directly translated means Sun. 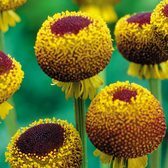 There is little coincidence that this is where their name originates when you see these beauties in flower during the summer, they really are that bright and vibrant. 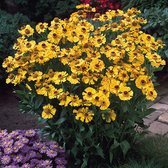 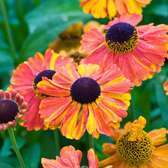 A clump forming perennial plant, Heleniums produce an abundance of colourful daisy-like, disc shaped flowers on sturdy stems. 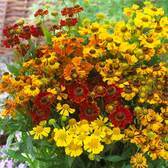 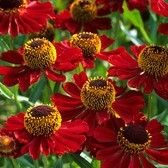 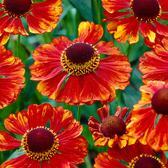 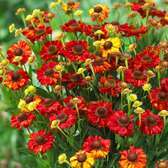 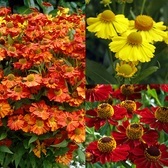 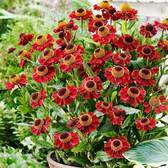 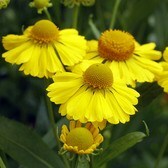 Helenium flowers are particularly long lasting from when they first appear in mid summer through to early autumn. 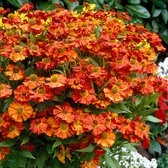 Regular dead-heading can help ensure flowering continues through this period.